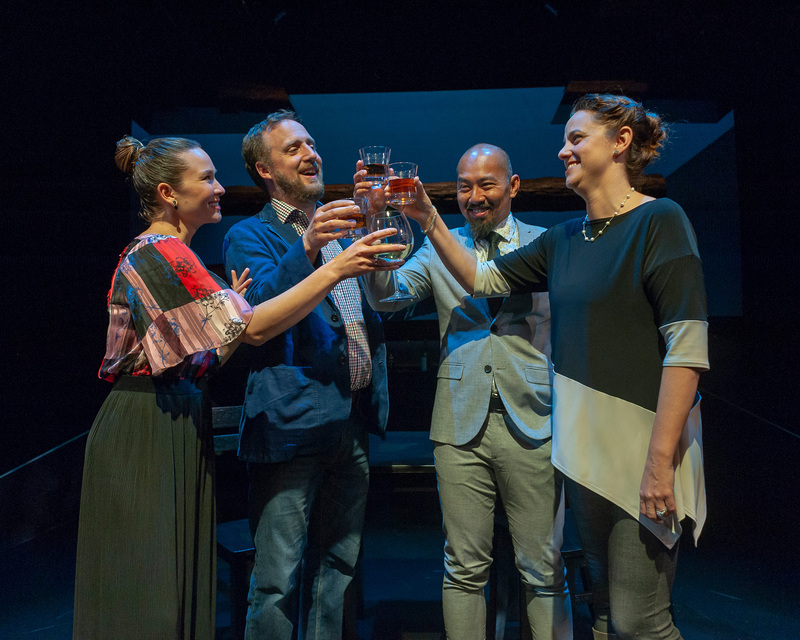 From L to R: Charisse Loriaux, Cassidy Brown, Jomar Tagatac, and Katie Rubin in Christopher Chen’s “You Mean To Do Me Harm.” Photo Credit: Ken Levin. Award winning local playwright Christopher Chen is a rising star on the regional theatre circuit, his plays being produced both in the Bay area (Cutting Ball Theatre, American Conservatory Theatre, Berkeley Repertory) on the East Coast (Long Wharf Theatre), and points in between. Last year, he was part of SF Playhouse’s popular “Sandbox Series” of new plays, with a successful world premiere of “You Mean To Do Me Harm,” which now returns to the Playhouse in an excellent mainstage production. Two interracial couples are gathered for a celebratory dinner party, as Ben (Cassidy Brown), a white American “expert” on Chinese/American business affairs is about to start a new job at the company where Daniel (Jomar Tagatac), a Chinese immigrant to America, is also employed. It turns out that Ben had once dated Daniel’s (white) wife, Lindsey (Katie Rubin) so they have a connection. Hence, the “let’s all get acquainted/reaquainted” dinner party. Ben is accompanied by his Chinese/American wife, Samantha (Charisse Loriaux). So the two couples, white Ben and Asian Samantha plus Asian Daniel and white Lindsey are a kind of mirror image of each other, while there is further complication from Ben’s “expertise” on China versus Daniel’s, which goes unrecognized at work even though Daniel is a Chinese immigrant. Clearly, however friendly these couples are on the surface, there are potential faultlines underneath, which are skillfully exploited by the playwright. The four characters combine and recombine in different combinations through a series of ever more complex and enlightening encounters, illuminating the cultural and personal mine fields in which they operate. “You Mean To Do Me Harm” is a highly accomplished piece of playwrighting, exploring conflicting loyalities and hidden motivations, as well as the subtle effects of racism, class, and cultural diversity. The play is about who these people are, and what internal experiences move them to feeling and action, more than specific worldly events. It could be charaterized as “Chekovian” in the best sense. Although race and class and history have their place, this is not a didactic play, because Chen does not write stereotypical characters. They may be effected by sterotypes and cultural forces, but they respond as fully realized individuals. The actors are up to the challenge, with Jomar Tagatac offering particularly fine work as Daniel. Tagatac is a Bay area actor to watch, who has recently had one success after another. “You Mean To Do Me Harm,” is a humorous, relevant, intellectually stimulating play with an excellent cast doing fine ensemble work under the always capable hand of director Bill English. “You Mean To Do Me Harm” continues at SF Playhouse through November 3, 2018. For further information, click here. “You Mean To Do Me Harm” by Christopher Chen. Produced by SfF Playhouse. Directed by: Bill English. Scenic Designer: Angrette McCloskeyu. Costume Designer: Brooke Jennings. Sound Designer: Theodore J. H. Hulsker. Lighting Designer: Kurt Landisman. Ben: Cassidy Brown. Lindsey: Katie Rubin. Samantha: Charisse Loriaux. Daniel: JHomar Tagatac. 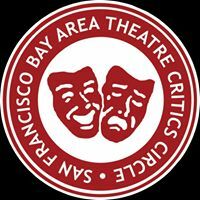 Posted in Reviews.Tagged Bill English, Charles Kruger, Christopher Chen, Jomar Tagatac, SF Playhouse, theatrestorm, You Mean To Do Me Harm.